People in prison ask me about parole. That is a concept of allowing a prisoner to serve the final portion of his sentence in the community under clearly defined conditions as enforced by a parole officer. Essentially, parole is a conditional release from prison. In the federal prison system, parole only exists for certain offenders whose crimes occurred before 1 November 1987. Federal sentences imposed for crimes committed after that date do not carry parole eligibility, though offenders still had to submit to the authority of parole officers under similar conditions known as supervised release. Many people speculate that legislators will return parole to the federal prison system. National interest in prison reform has reached a higher level than at any time during the 22 years I have served. And parole makes good sense. 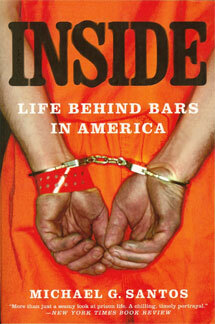 It motivates prisoners to work toward positive adjustment patterns that will help them emerge as law-abiding citizens. Without parole eligibility, many prisoners serve time without hope. That extinction of hope leads to high recidivism rates and higher costs for taxpayers. Under the parole system, prisoners become eligible to see a panel of parole officers after they have served a portion of their sentences. For most offenders, it required that they serve one-third of their time in prison before they could apply for parole consideration by the parole board. The members on the panel would evaluate the prisoner’s record and determine whether the prisoner stood a good chance of living as a law-abiding citizen. If they looked upon the candidate for parole favorably, the parole board members could release the prisoner in accordance with conditions. Those conditions may include employment, abstinence from drugs or alcohol, permanent residence, and regular monitoring. Upon accepting the conditions of release, the prisoner becomes a parolee. That means he returns to society to begin abiding by the conditions of his release. An assigned parole officer will monitor his compliance with the conditions of release. If the parolee violates the conditions of release, the parole officer may recommend his return to prison and either a judge or parole board will make a decision. The system of supervised release which exists today exposes people who complete their terms in confinement to conditions similar to the parolee. The only difference is that a parole board does not have the discretion to order conditional release for those convicted of crimes past 1 November 1987. As an old-law prisoner, I am eligible for a small amount of parole. Currently, the BOP calculates that I become eligible for release on parole in April of 2013. I dispute the BOP calculation, as I believe my eligibility begins about one year sooner, in mid 2012. I expect to resolve this issue in 2010. Like other prisoners, I am hopeful that prison reform will return parole to the federal system. By 2011, I would expect to see an active federal parole board. We’ll see.